This small book (it measures 7 by 8 inches) is a tribute to one of the finest pysankary every, Taras Horodetsky, who died recently at the age of 42. 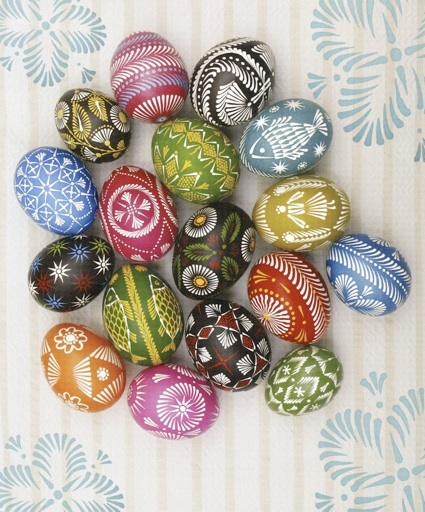 Many of us have seen his work–his pysanky were sold throughout Europe and North America. 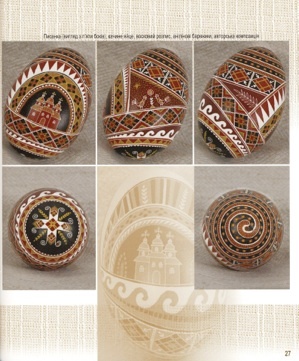 They are gorgeous works of art, beautifully intricate yet not overly busy, containing the unity of theme and a soulfulness that is not often seen outside of traditional pysanky. This book was conceived of by his friend, Vira Manko. 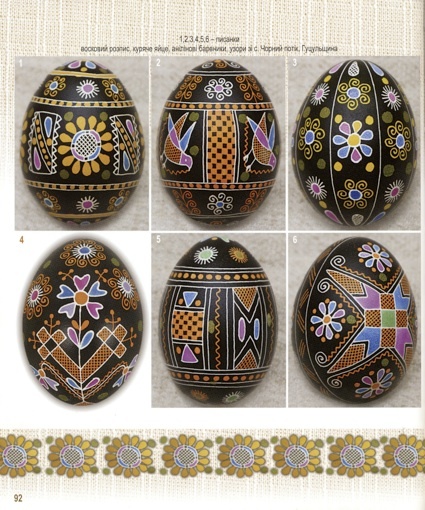 She put countless hours into it, finding his scattered pysanky, having them photographed, and laying out and publishing this book, which is a masterpiece of the polygraphist's art. 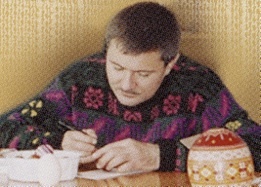 The text is minimal: Vira has written a foreword, Taras’ friends have contributed their remembrances of him, and there are also a few letters from Taras, in which he speaks of his art and his techniques, and particularly his exploration of traditional dyeing techniques. Mostly, though, he speaks to us through his work. And what incredible work it is. 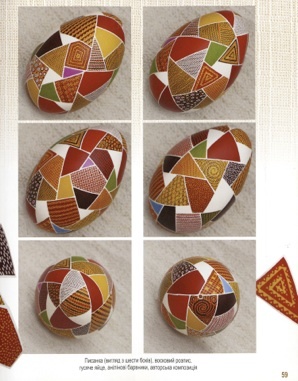 Taras’ pysanky are the most gorgeous you’ll probably ever see, whether centuries old traditional patterns he’s recreated, or modern compositions of his own design. There are so many, and they are so gorgeous, that it is hard to select just a few to show here. 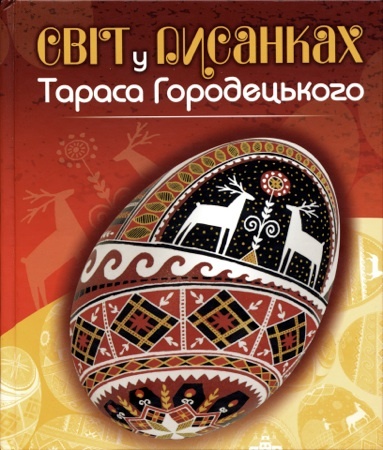 Taras first came to my attention through the pysanky he contributed to Vira’s book “The Ukrainian Folk Pysanka.” Some of those pysanky are shown in this book. 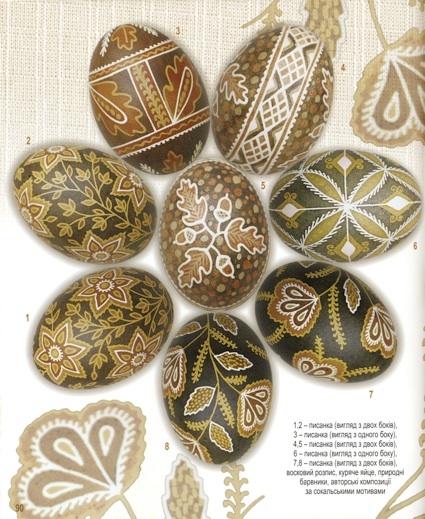 He recreates Hutsul pysanky, as seen on this page of traditional designs from Chorny Potik (Чорний Потік). 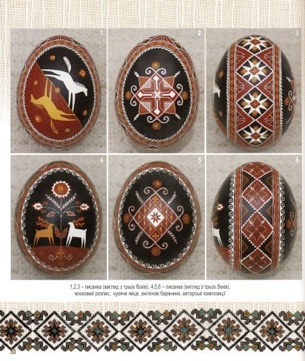 The influence of Hutsul design is evident in his original works, with their intricacy and their motifs, particularly horses and deer, which he uses over and over in his compositions (see below). 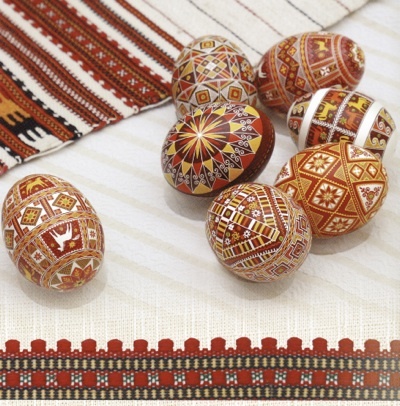 Chervonohrad, Taras’ home, is in the Sokal region, so it is not surprising that he has become a master of this traditional and uniquely local form. 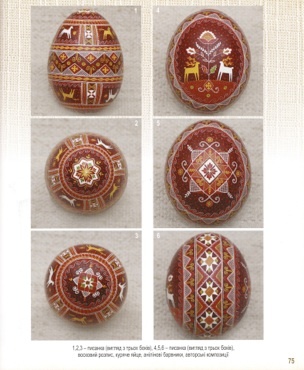 The colors in the page above are all natural, using local plants, and the designs are his own, but incorporate local Sokal motifs. 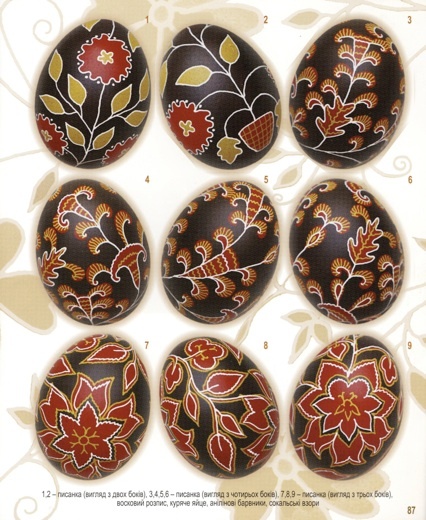 He tried out these dyes with various styles and methods–modern designs, etched pysanky and drop pull pysanky, numerous examples of which can be found in this book. 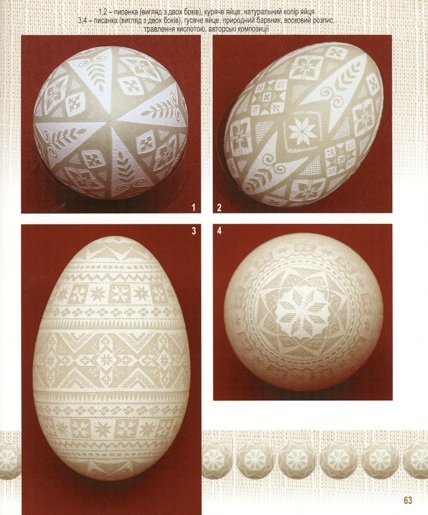 The top pysanka was a brown chicken egg which was acid-etched; the bottom one was etched, and the etched areas dyed with a natural dye. 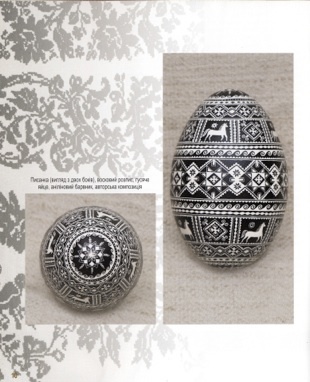 This book is a gem, and belongs in the library of anyone who truly appreciates the beauty of a well-written pysanka.